Our knowledge in regards to the size of the population, health and reproductive success of landbirds in Galapagos remains incomplete. In recent years, populations of various species such as the vermillion flycatcher, green warbler-finch, the small, medium and large tree finches and the woodpecker finch have declined and some have even become extinct. The reasons for these declines are not fully understood. The most imminent threat for landbirds in the Galapagos is the presence of the invasive fly and nest parasite, Philornis downsi. 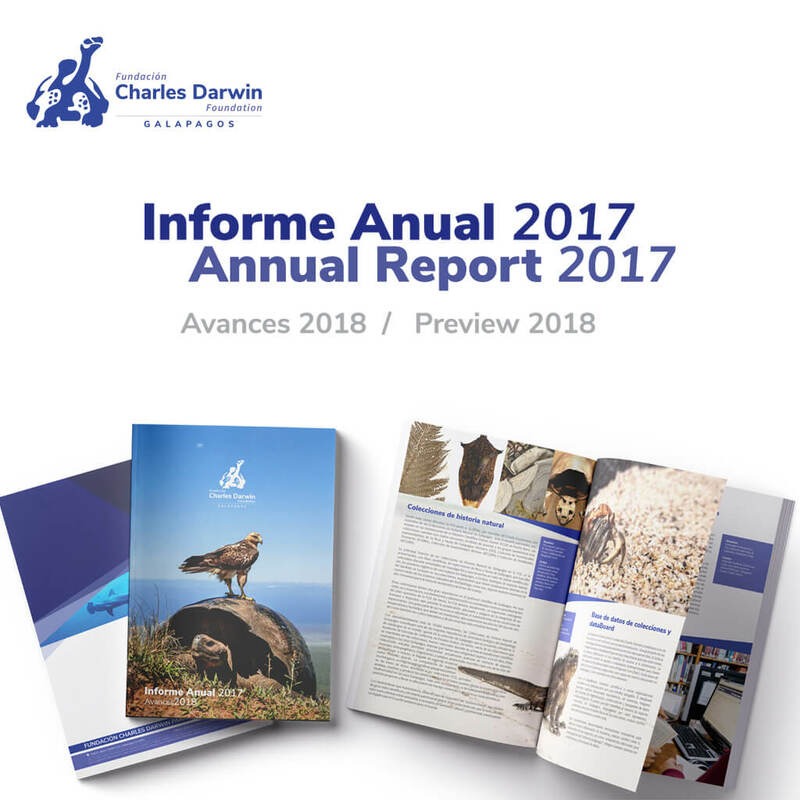 The investigators and collaborators of the Charles Darwin Foundation are currently working on strategies for the timely detection of population declines and the evaluation of the status of landbirds in the archipelago. Twenty Galapagos bird species, including 12 species of Darwin’s finches, are under threat from a parasitic fly, Philornis downsi. This fly was accidentally introduced to Galapagos and is seriously affecting the survivorship of several Galapagos birds including the critically endangered Mangrove Finch. Flies are adept at locating bird nests to lay their eggs. Once larvae hatch they feed on the blood of hatchlings, sometimes causing all of the chicks in a nest to die. In order to reduce the impact of Philornis downsi on birds, CDF and the Galapagos National Park Directorate are overseeing a multi-institutional collaborative effort (now up to 22 institutions from ten countries) that is investigating the biology and ecology of this little-known fly, while simultaneously conducting research to find effective and environmentally friendly control methods. 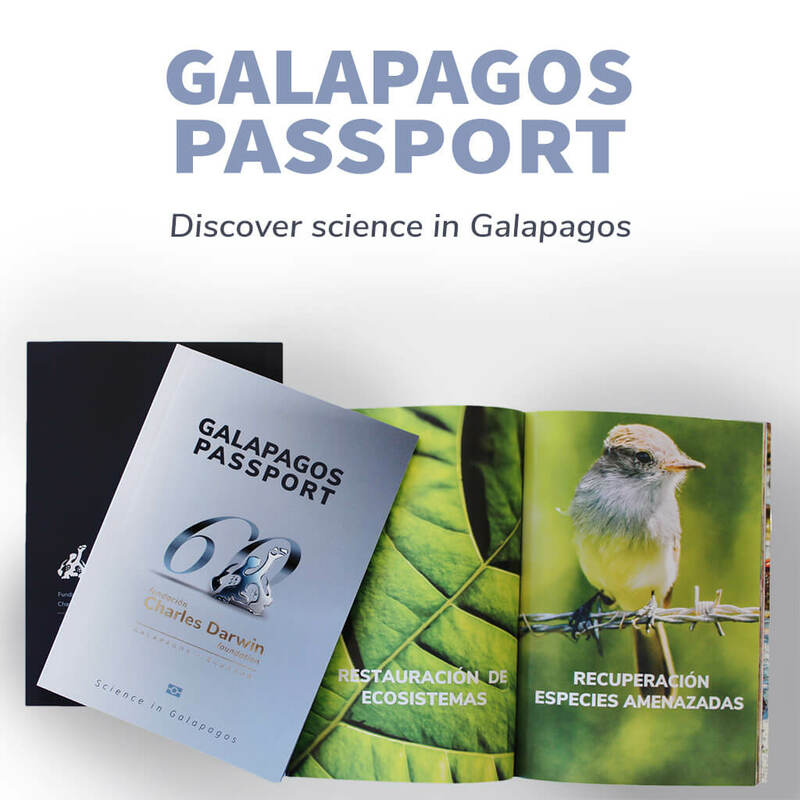 “Galápagos Verde 2050” is a long-term project implemented by the Charles Darwin Foundation with the Galapagos National Park Directorate’s support. 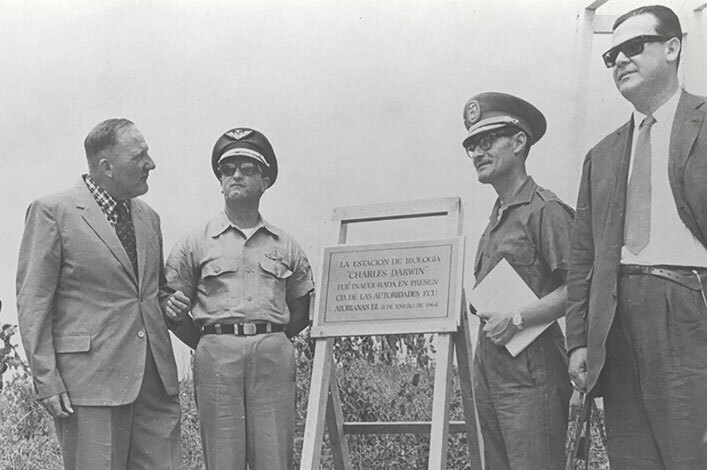 Overall, this project contributes to conserve Galapagos’ natural capital and the well-being of its human population. 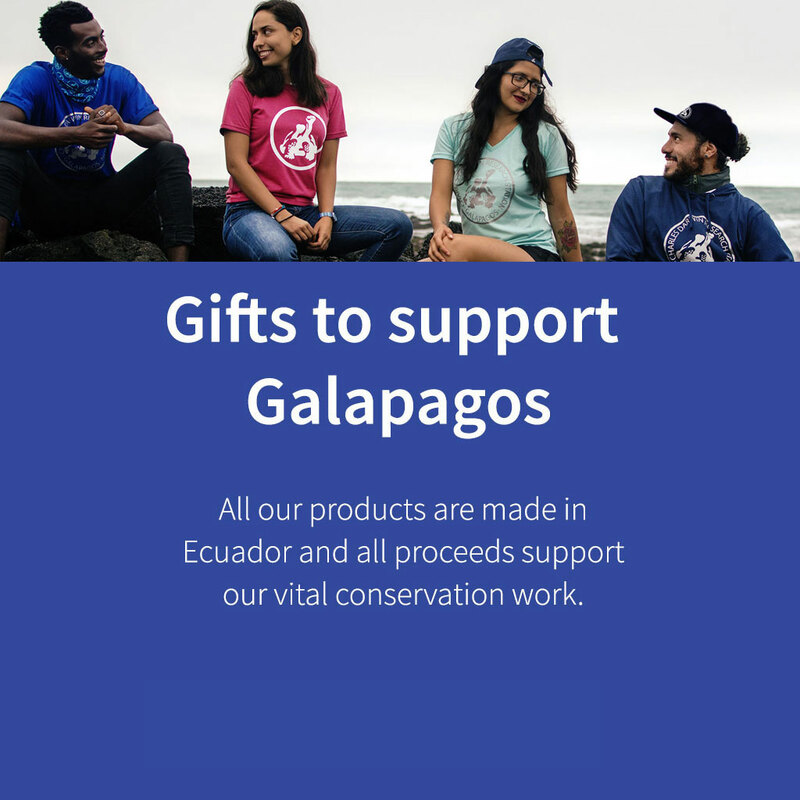 One of the greatest problems in the Galapagos Archipelago is the scarcity of water, therefore the project’s focus is to implement initiatives that promote saving this limited resource. Thus, we use three water-saving technologies to achieve the project’s two principle goals: the ecological restoration of degraded ecosystems, and the development of sustainable agricultural practices. Our ultimate outcome will be to present the Galapagos islands as a model system for ecosystem conservation and human sustainability. Marine invasive species can threaten biological diversity, human health and/or economic activity. Globally, marine invasions have increased due to commerce, shipping and tourism. Invasions occur when species are transported from one region to another and become established in the new environment. These undesired guests compete for space and can displace and harm the populations of native species. The Galapagos Islands are under threat from possible marine invasive species, given the connectivity that exists with the Eastern Tropical Pacific, the increase in tourism and associated marine traffic and the effect of extreme climatic events such as the El Niño Southern Oscillation (ENSO). 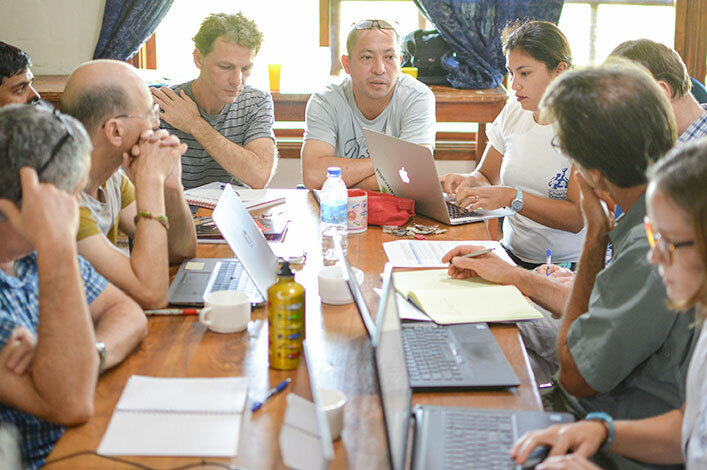 The CDF scientists, together with our collaborators, are developing risk assessments along with protocols for the prevention, early detection and management of marine invasive species in the Galapagos Marine Reserve. Invasive plant species can alter the composition, structure and functioning of terrestrial ecosystems, especially in a place with fragile ecosystems, like the Galapagos Archipelago. To support the conservation of Galapagos and to optimize resources for the management of these invasive plants, we need to know their distribution and abundance. Therefore, we are creating high resolution maps of invasive plants in the humid zone of Galapagos. To achieve this, we are using remote sensors, such as satellite images and drones, which enable us to cover large areas that are difficult to access. The most invasive plant species in the humid zone of the Galapagos islands are blackberry (Rubus niveus), guava (Psidium guajava), Cuban cedar (Cedrela odorata), elephant grass (Pennisetum purpureum) and quinine (Cinchona pubescens). The giant tortoise movements in Galapagos have a fundamental role in mantaining a healthy population. Understanding the ecological implications of these movements allows us to reduce the potential and real threats to their conservation. The Galapagos Tortoise Movement Ecology Programme (GTMEP) is a collaborative effort between the Galapagos National Park Directorate (GNPD), Charles Darwin Foundation (CDF), Saint Louis Zoo, Max Planck Institute for Ornithology, Galapagos Conservation Trust (GCT) and Houston Zoo. With an estimated 100 million sharks captured annually worldwide, many populations are declining and in danger of extinction. 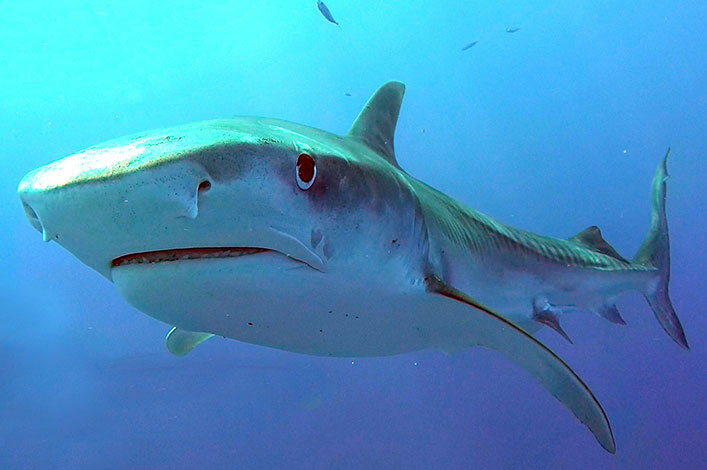 The Galapagos Marine Reserve is one of the last refuges of sharks in the world, and the home of species such as the whale shark, common hammerhead shark, tiger shark and Galapagos shark. However, the growth of the resident population and the tourism industries along with fisheries has significantly increased the pressure on marine resources. 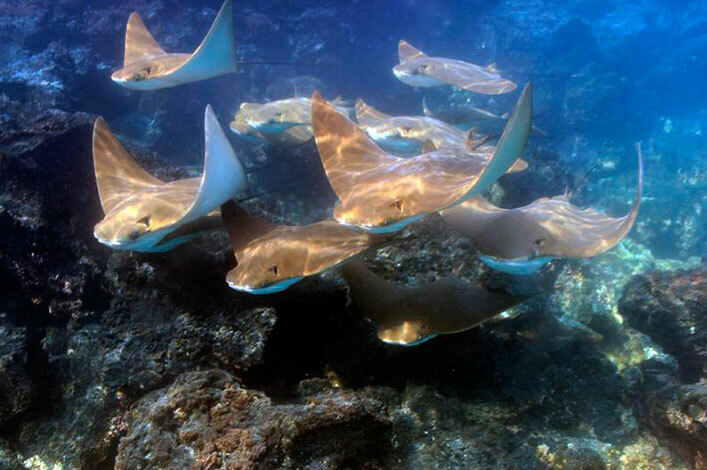 Scientific expeditions and monitoring programs are being undertaken in a wide variety of marine ecosystems, from seamounts to mangrove bays, with the goal of increasing scientific knowledge about habitats critical to shark survival, such as nursery, feeding and migratory patterns. 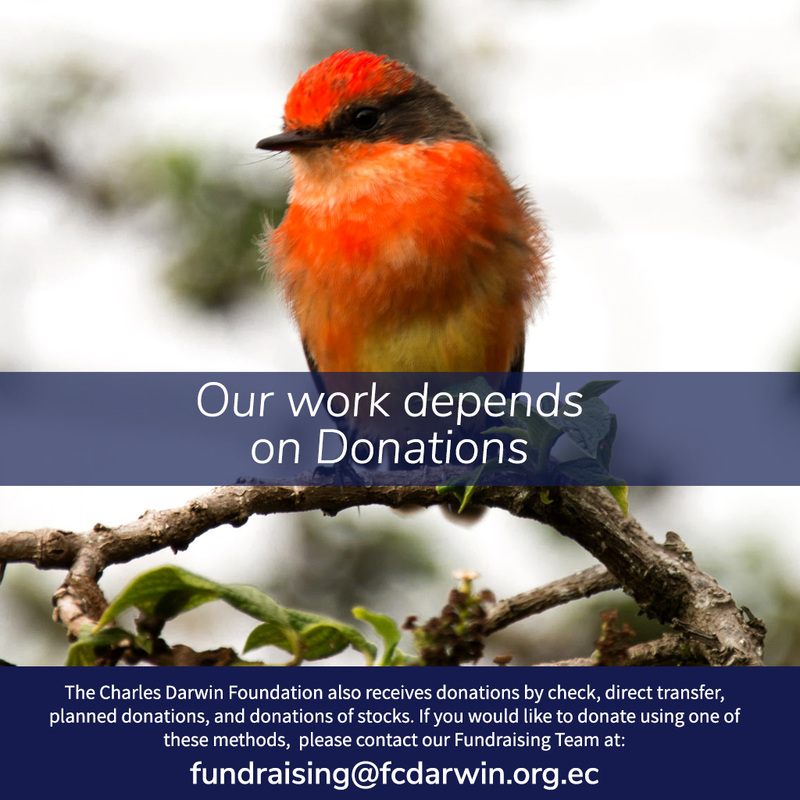 The CDF wants to understand these behaviors in order to conserve their populations. The Galapagos penguin (Spheniscus mendiculus), flightless cormorant (Phalacrocorax harrisi) and Galapagos waved albatross (Phoebastria irrorata) are endemic to the Galapagos archipelago and Ecuador. They can now be found on the IUCN Red List of Endangered Species. The population status of these island species is being monitored on a yearly basis with our partners at the Galapagos National Park Directorate. The Mangrove Finch (Camarynchus heliobates) is one of the 14 species of Darwin's finches that only live in the Galapagos Islands. It is the rarest bird of the archipelago, with an estimated population of 100 individuals that inhabit only 30 hectares in two areas on Isabela Island. The International Union for Conservation of Nature’s (IUCN) Red List of Endangered Species classifies the Mangrove Finch as in Critical Danger. The main known threats are the introduced parasitic fly (Philornis downsi) and the introduced black rat (Rattus rattus). The Galapagos Islands are a key site for the conservation of the green turtle (Chelonia mydas), as they are host to the second most important nesting colony in the region, and also provide numerous feeding sites for this specie throughout the archipelago. Despite the protection provided by the "Marine Reserve" status, there are still some threats to the species in Galapagos, where interaction with fisheries and the impact of boats are the most problematic. 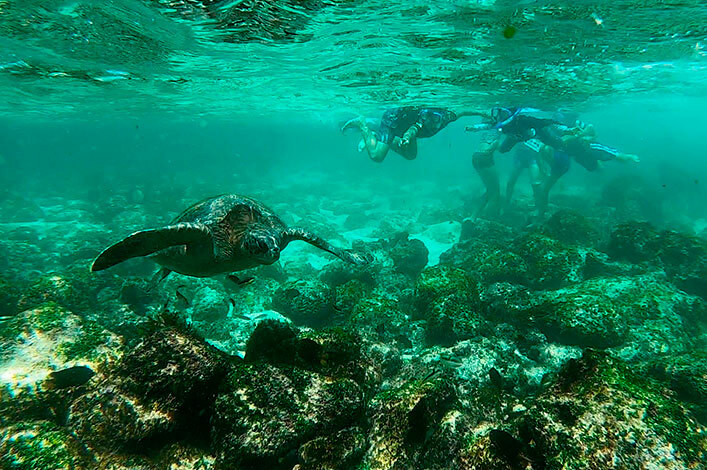 Like many Central and South American Countries, economic development in the Galapagos Archipelago is oriented towards ecotourism, and its potential continues to grow. In the last decade the number of visitors to the islands has increased dramatically, and in turn generating an increase in marine traffic as a product of tourism demand, and hence an increased interaction between boats and marine fauna. Fowler’s Snouted Treefrog (Scinax quinquefasciatus) is a relatively recent invader of the Galapagos Islands, having been introduced from mainland Ecuador most likely during the wet El Niño season of 1997/98. Little is known about the biology and ecology of this frog in Galapagos. To close this knowledge gap and to gain information for potential management, CDF initiated a study of the diet, distribution, habitat use and potential dispersal of this species. 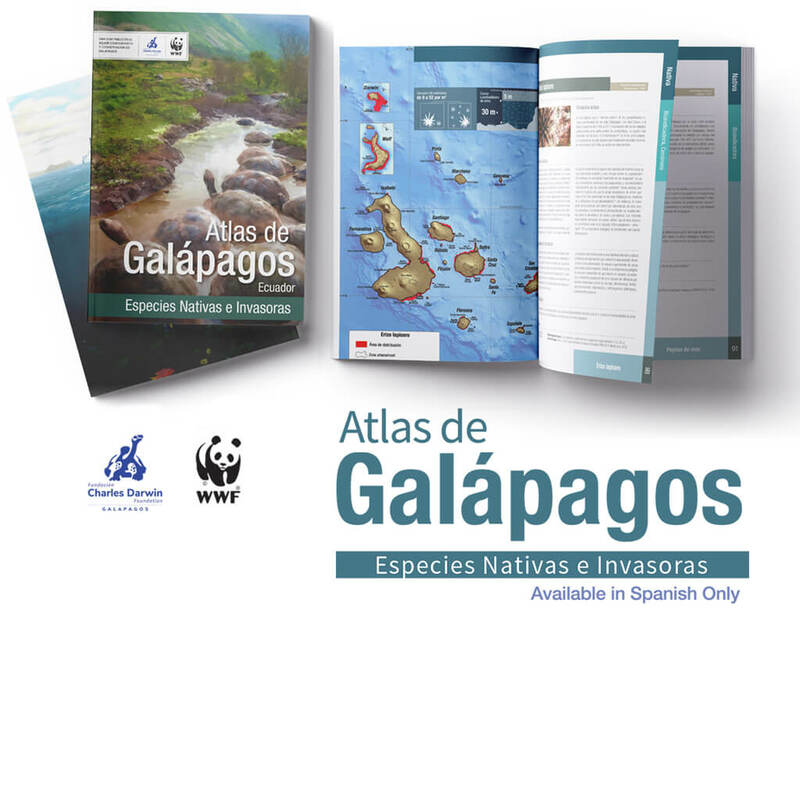 The CDF is undertaking this project in partnership with the Galapagos National Park Directorate and the Escuela Superior Politecnica del Litoral (ESPOL). The incidence of collisions between birds and cars in the road between Puerto Ayora and Canal de Itabaca seems rather high. The assessment of the frequency on which these events happen would enable us to illustrate areas with higher incidence, and to suggest mechanisms to mitigate this problem. This project aims to offer evidence on what, where, when, these events occur, and to suggest alternatives to reduce it. The vegetation coverage of the native forests in Los Gemelos zone, has suffered signficant reduction in the last years. The Gemelos is an area of two volcanic craters located in the highlands of Santa Cruz Island. This project aims to better understand the mechanisms to improve the restoration capacity of these zones by analizing the factors that compromise this capacity. Native species in Galapagos have been seriously affected by the changes in the uses of the land in the past, and most recently by invasive species. The Scalesia habitat has been drastically reduced in Santa Cruz which was dominated by Scalesia pendunculata that now it is estimated to cover less than 1% of its original distribution. The best example remains in this area of Los Gemelos, an area of 100 hectares and which is the focus of all the restoration efforts of the Galapagos National Park Directorate (DPNG). Seamounts are underwater mountains, often of volcanic origin, that rise above the surrounding seabed at least 100 m from the seabed but do not reach the surface. These underwater structures provide deep-sea hard substrate, allowing productive formation of deep-sea coral and sponge reef communities. Additionally, seamounts are considered highly productive, redirecting deep-sea currents rich in nutrients that attract a myriad of other marine organisms, such as fish and marine mammals. Due to the volcanic history of the Galapagos Archipelago, hundreds of seamounts, ranging from > 3000 to 100 m in height, are known to be scattered on the seafloor in the reserve. Given that most seamounts lie outside the margins for safe SCUBA diving (< 40 m), and exploring deep-sea ecosystems is technologically and financially challenging, our understanding of seamounts and other deep-sea habitats remains very limited. 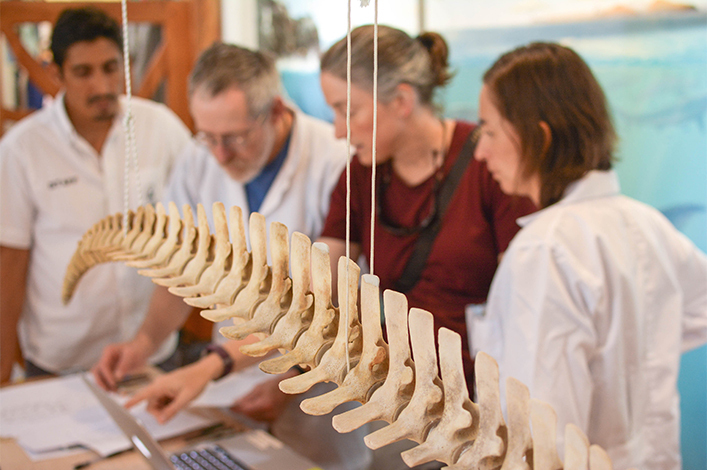 To close this critical knowledge gap CDF, in collaboration with the Galapagos National Park Directorate (GNPD), is leading a multi-institutional collaborative effort to characterize the biodiversity, ecology and physical environment of these mysterious deep-sea ecosystems. Fishing is one of the most important activities in Galapagos. It can produce more than 2 million dollars per year. It is source of employment for more than 500 fishers and their families. In addition, fishing is essential for food security for the local people of the Archipelago. There are more than 50 species that can be fished in Galapagos; among the most important are: spiny lobsters, slipper lobster and fish. CDF along with Galapagos National Park Directorate and other partners are carrying out interdisciplinary researches to achieve sustainable fisheries in Galapagos. These researches include, from the biology and ecology of species, line-based ecosystems, capture technologies, up to the governance, sociology of fishers and economy of fishing activity. The Ecological Monitoring Program was developed to provide the Galapagos National Park Directorate (GNPD) with a complete description of this community and to provide information on the dynamics and magnitude of the fluctuations of this biota through space and time, while incorporating natural and anthropogenic effects such as climate change. The long-term scale of the Subtidal Ecological Monitoring program in Galapagos, has enabled the recognition of patterns and processes that are of fundamental importance in the coastal-marine ecosystems. By looking at the subtidal ecological condition would illustrate the current threats and risks to which these ecosystems are most exposed to, and the mechanisms to mitigate/minimize them.